When parents seek a pediatric dentist, they typically want safe, trustworthy, and affordable pediatric dentistry options to choose from. At Penn Dental Medicine, we’re dedicated to providing the highest level of safety, comfort, and modern approaches when it comes to all our dental services. Many studies demonstrate that the earlier you bring your child in for a dental checkup and cleaning, the greater the opportunity is to achieve overall positive oral health. 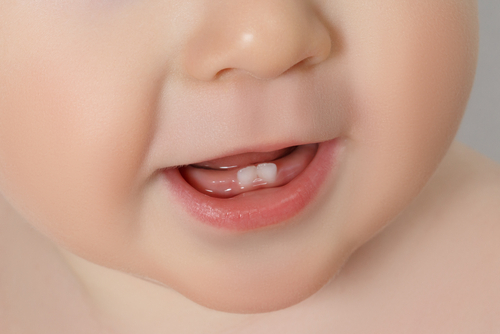 Believe it or not, baby teeth can be perceived as somewhat dispensable. After all, children eventually replace primary teeth with permanent ones, right? While the latter statement is true, the opinion that baby teeth aren’t as important as permanent teeth is a dangerous notion. Not only is it imperative to teach young children how to properly care for their teeth in establishing healthy, life-long oral hygiene routines, but baby teeth are also responsible for the structural integrity of the mouth. If baby teeth are lost prematurely, permanent teeth may erupt prematurely, crookedly, or cause other problems in the development of healthy new, replacement teeth and growth development of the jaw. Not only do our PDM dentists recommend that children be seen by their first birthday, but we also suggest that parents begin preparing for a first dental visit long before the appointment is made. In doing so, you’re encouraging the formation of healthy habits and priming your child for the dentist’s chair. According to a survey by the American Academy of Pediatric Dentistry (AAPD), 75 percent of moms were aware of specialty pediatric dentistry services, but approximately half admitted to never scheduling an appointment. The good news is that if you fall into this category, you can schedule a first visit now! If you’d like to learn more about why PDM is the choice for quality dental care and affordable pediatric dentistry options or would like to schedule your child’s first dental visit, simply click here to get started or call us anytime at 215-898-8965.